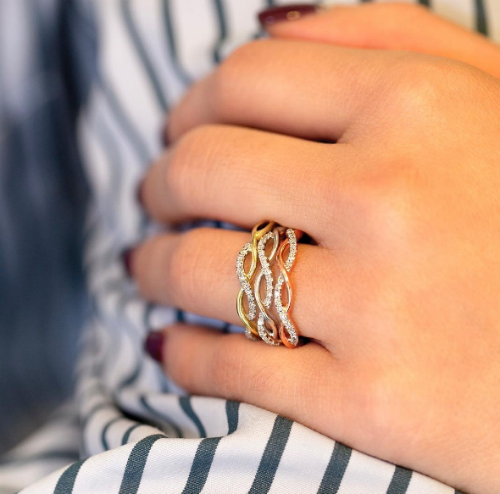 The *Prettiest* Stackable Rings For Engagements To Inspire You! This story was updated in February 2019. 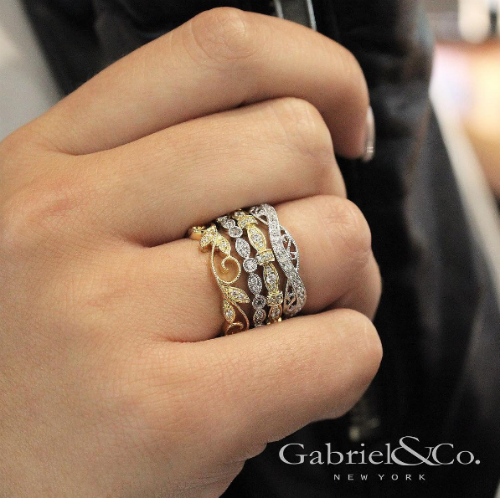 The latest trend to hit the wedding scene in India is stackable engagement rings. 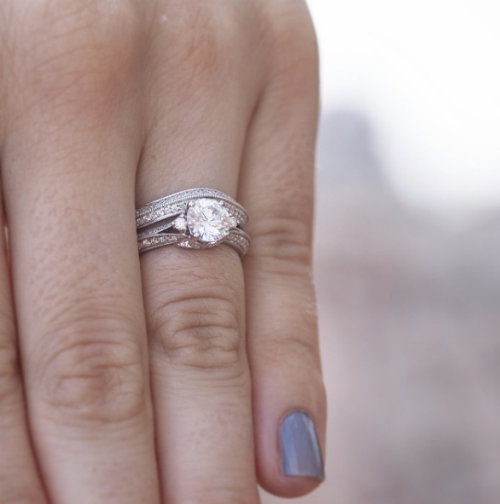 Brides-to-be are now sporting not one but as many as six gorgeous rings on their ring fingers. A promise ring, a purity ring, a commitment ring, a pre-engagement ring, and a few more just because they’re so pretty! 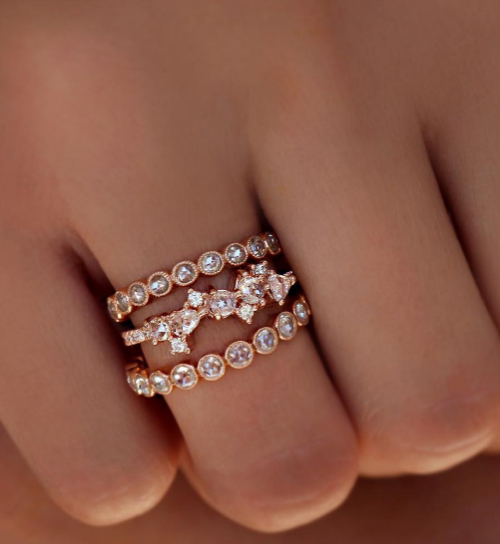 Well, we decided to dig up the prettiest stackable engagement ring designs to inspire all you beautiful brides-to-be! Have a look. If you are looking for stacking rings for engagement then you will have a plenty of options here. So just enjoy shopping. Image: gabrielandco on Instagram Look at this and tell us it’s not love at first sight. We dare you. Image: lskyejewelry on Instagram Luna Skye’s rose cut diamonds are all the engagement ring inspiration you need, isn’t it? Image: 77diamonds on Instagram What’s better than stunning diamonds? Stunning solitaires! 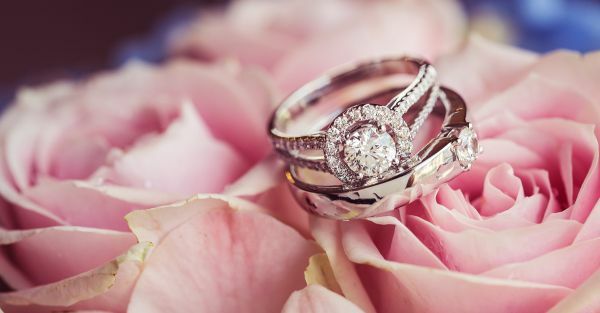 With this ring, you’re sure to glow at your engagement! Image: theofficialpandora on Instagram Daisies never looked so good before, did they? This one’s a personal favourite and we bet you’ll glow wearing it! Image: stevensingerjewelers on Instagram What better way to promise an eternity together than with these infinity bands? 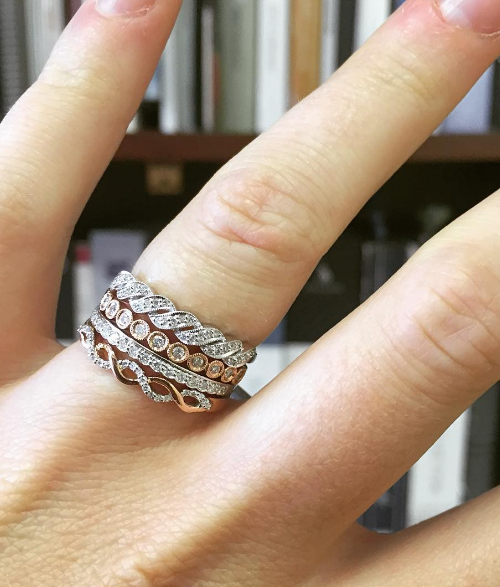 Image: bellistonjewelry on Instagram Four wedding bands and each more gorgeous than the next. Any bride would be lucky to have these! 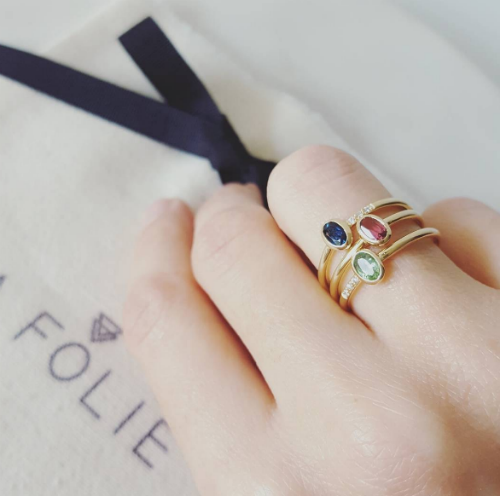 Image: lafoliejoyas on Instagram Three stunning gemstones set in thin gold bands. This ring set is perfect for any bride who wants a dash of colour on her fingers! 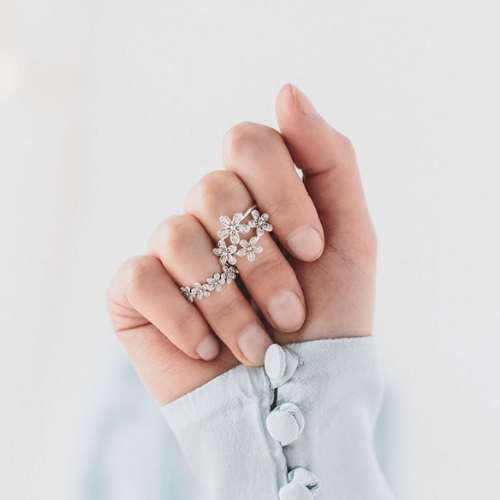 Image: preciouslacejewelry on Instagram This absolutely gorgeous and dainty ring set is for the bride who wants to add a bit of vintage charm to her look. 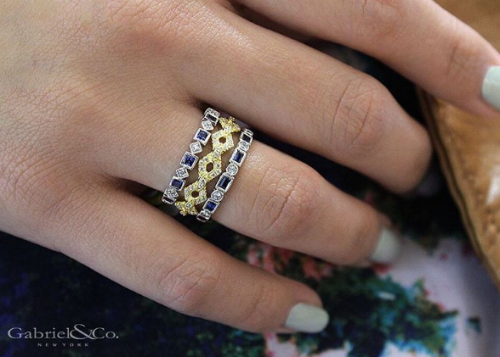 Image: gabrielandco on Instagram White and yellow gold come together with sapphires to create this gorgeous piece of jewellery. 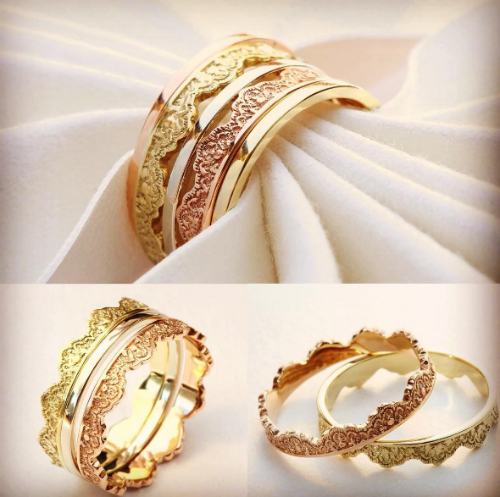 Image: henridaussi on Instagram Rose gold bands with delicate pink stones? I think I’m in love… Featured Image: Shutterstock A place where girls can talk about ANYTHING. (No guys allowed!) ? ? Get the POPxo app NOW on Play Store and iOS App Store.